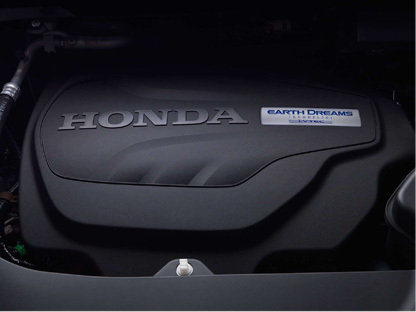 You can count on Honda for a vehicle that's ready for any challenge. 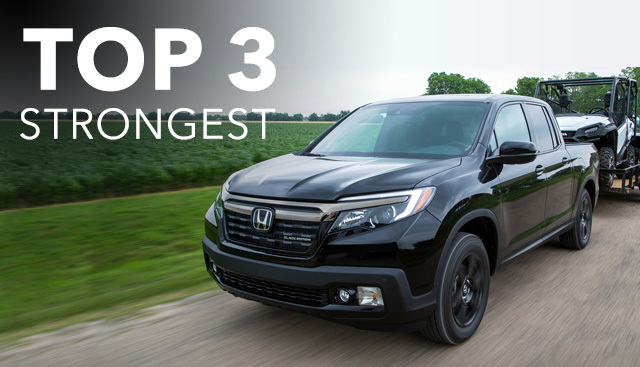 The top three strongest Honda models available now are alike in many ways, but they have several features that differ. If you need a vehicle that has a towing or hauling capacity, look no further than these three strong 2017 Honda models. Here are a few key features that contribute to these vehicles being so strong. Present on all of the 2017 vehicles on this page, the capable V6 engine, the basis of strength in every vehicle, is ready to take on the challenges associated with towing or hauling. 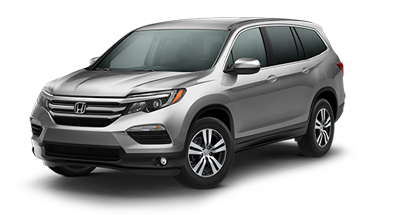 Two of the vehicles (the 2017 Ridgeline and Pilot) have a towing capacity of up to 5,000 pounds and the 2017 Odyssey can tow up to 3,500 pounds. That means more gear for camping trips, more equipment for landscaping and more luggage for road trips. 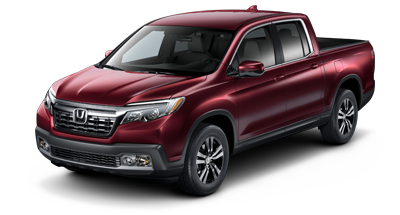 In the current 2017 Honda lineup, we're proud to announce that the Ridgeline tows home the prize of being the most powerful. From 500 to 5,000 pounds, one of these vehicles has the capability that you're looking for. Here at Morganton Honda, we're committed to making sure our customers are informed of all of their options when it comes to car-buying. That's why we've made pages like this, so you can make the decision that's the right fit for you and your lifestyle. If driving a vehicle that can get the job done is important to you, then check out our selection of these strong vehicles. 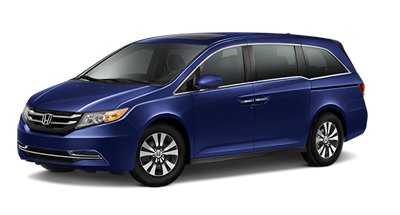 If you’re interested in becoming the proud owner of one of these vehicles, contact us directly, or stop by our dealership at 1600 Burkemont Ave, Morganton, NC 28655 for a test-drive today. We look forward to serving our customers from Morganton, NC, and throughout Hickory, Asheville and Marion!